It took over 20 years, but beers from the California-based brewer are now available in exactly 50 states. Looking for more proof of the discrepancies between "big beer" and "craft beer"? Yesterday, Stone Brewing, one of the best known breweries in America and the country's ninth largest craft brewer, announced that it had finally just secured distribution in all 50 states. Stone, which opened in the San Diego area way back in 1996 and quickly garnered acclaim for its massively West Coast hopped brews, said the brand will be available this week at bars, restaurants and retailers throughout West Virginia, the last place in the union where these brews weren't officially distributed. "Our goal has always been to deliver bold and fresh, hop-forward beers to as many fans as possible and we've just conquered one major milestone in doing so," Dominic Engels, Stone Brewing CEO, said in a statement. "With so many options for high quality craft beer in every state, it's an honor to see such a demand for our beers across the entire country. Now that we're here, our commitment to fans nationwide is to remain truly independent and continue to deliver innovative and fresh Stone beers." Key to the California-based brewer conquering the entire country was the opening of Stone's second American brewery in Richmond, Virginia, last year. 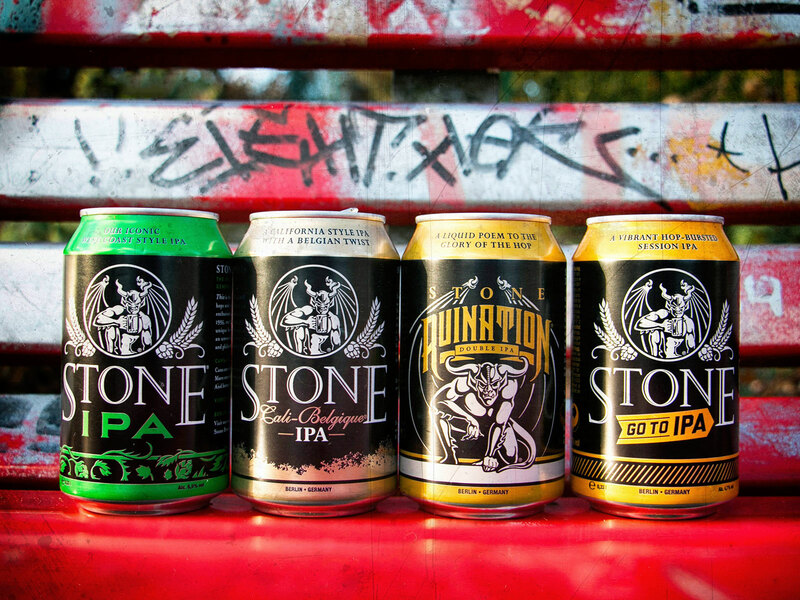 West Coast brewers opening facilities on the East Coast has been a growing trend in part because it allows brands like Stone to make sure its signature hoppy beers get to store shelves while they're still fresh. Keep in mind, Stone created a series of "Enjoy By" beers where the expiration date is included in the name of brew – so freshness has always been one of the brands top priorities. The company opened a facility last year in Berlin, Germany, to send freshly produced American-style IPAs across Europe as well. But back on American shores, 2017 saw Stone add six more states to its distribution network – Oklahoma, South Dakota, North Dakota, Wyoming, Mississippi and, finally, West Virginia. Now if you want a Stone beer, you know where to find one… everywhere.